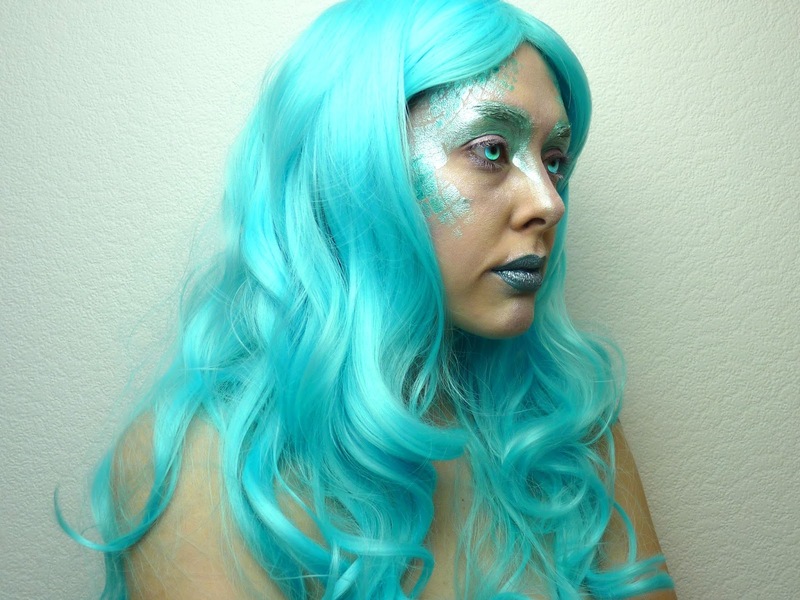 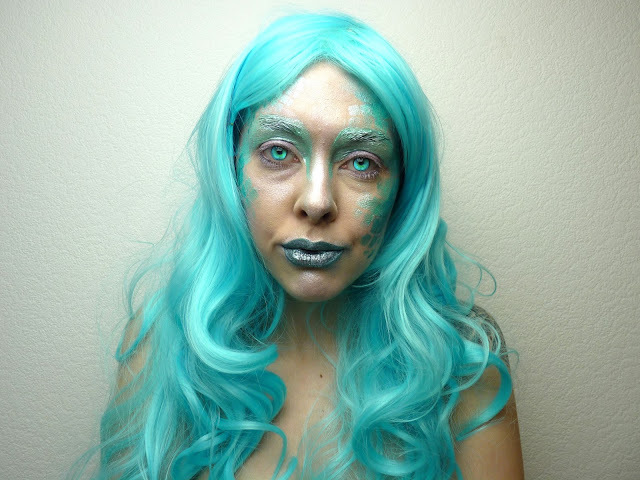 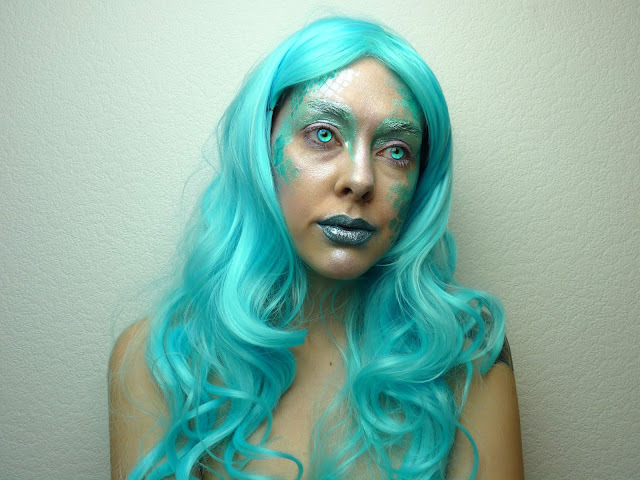 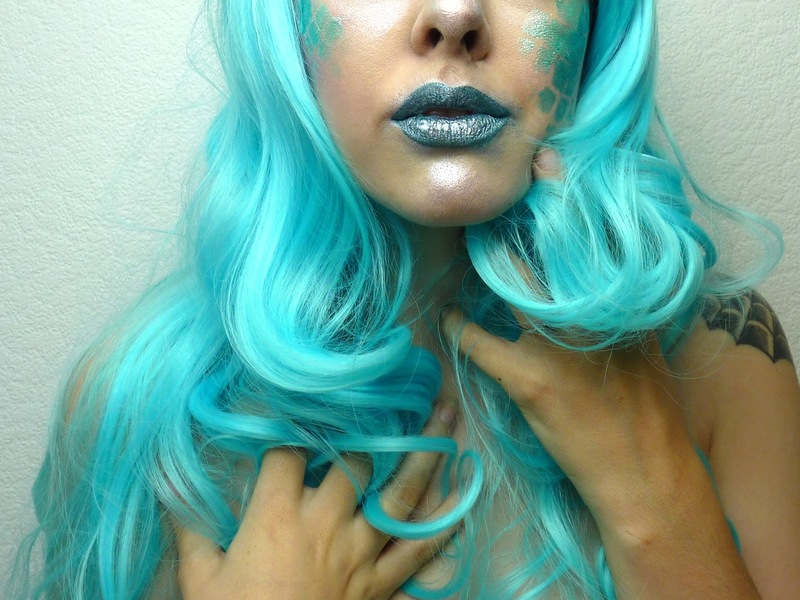 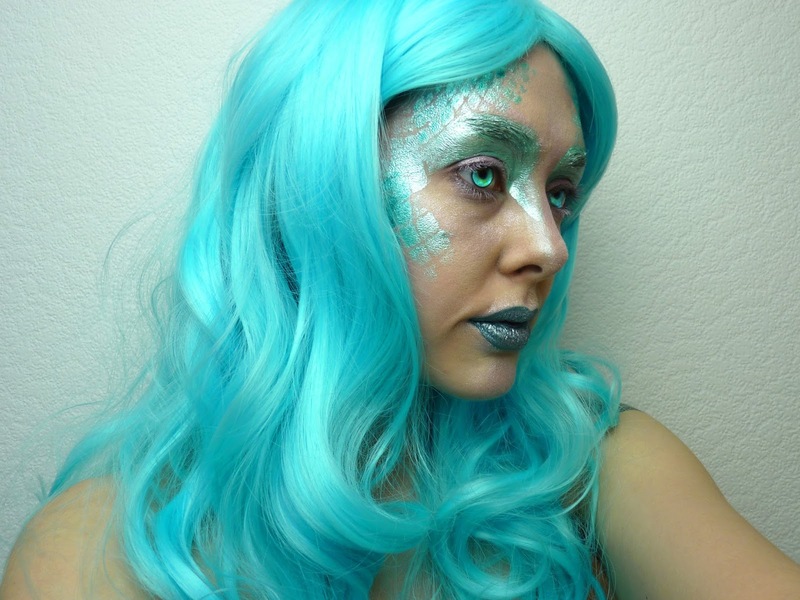 Everyone loves a mermaid - so of course I had to put my basic makeup skills to the test and try my hand at turning myself into a majestic sea creature. Koko Couture kindly sent me this Neon Blue Party Wig* to style this Halloween but considering I'm not into gore what so ever I thought I'd transform myself into something more soft than scary. So far I can say all my Halloween looks this year are super easy and quite basic - all the tools and makeup I already had at home and actually most of this look is actually acrylic paint. 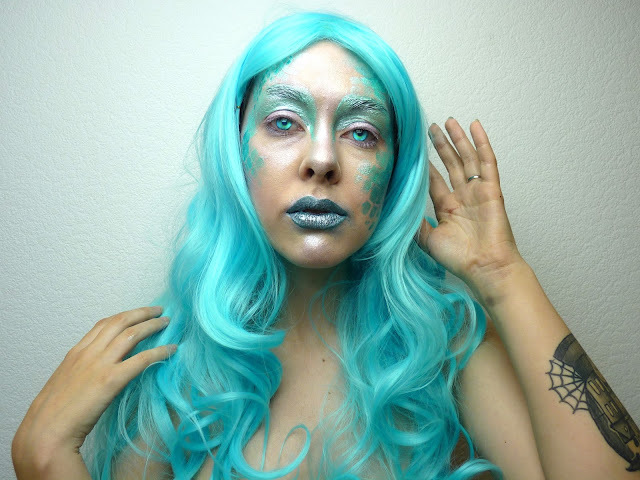 I wanted so badly to do the 'fishnet' effect so looking like an idiot I put some tights over my face and painted on this pattern, using not only paint but a highlighter from Sleek. 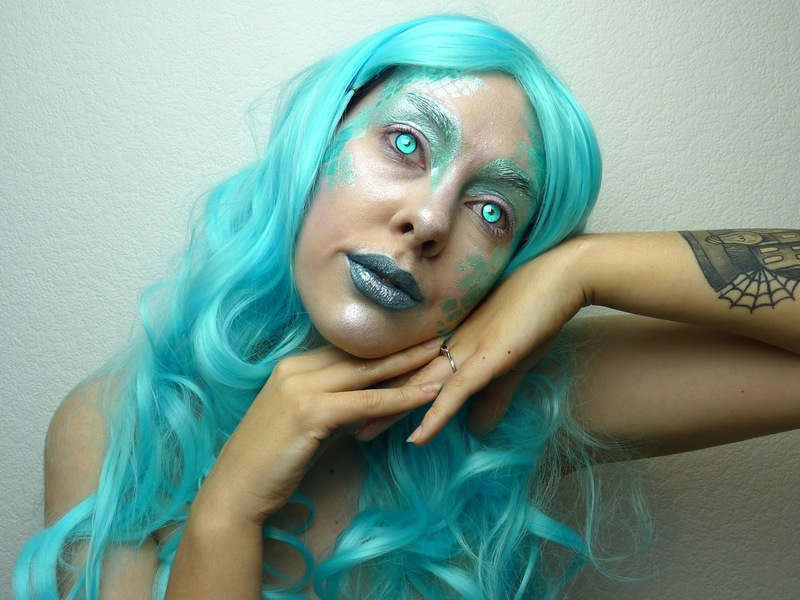 I wanted the look to be magical, so highlighter and shimmery paint was all I used! I even went with a green lipstick but added highlighter to completely change it! 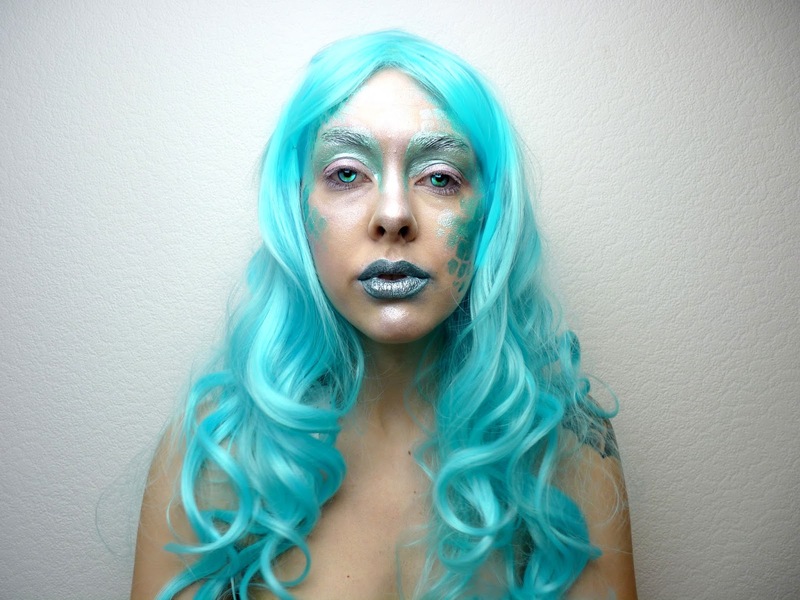 You can literally make so many looks with what you already have at home!